Many of you who know me, know that I always have a remedy in my purse for something. A headache, an upset stomach, a conk to the head or even a full blown illness. This is my First Aid Travel Kit, there's a little bit of everything here. Check it out! I made a detailed list of what I recommend you don't leave home without - especially if you have kids. It could save you a bundle on a trip to an urgent care, an emergency room or a doctor in a foreign country. Homeopathic for flu - a must have. Used it just last night for a sweet little girl with a bellyache. Worked great. Make sure to use it for what are flu-like symptoms. Only take a small portion of each vile for a dose, this saves you money! Just a few pellets on the tongue is one dose. Homeopathic for painful bloating, belching, gas or indigestion with pain in the abdomen. Also known as the "corpse reviver", (God forbid) give to anyone that collapses and is unresponsive. Whether they are human or animal kind, it works. Homeopathic that clears the eustachian tubes in the ears before and after a flight. Great for kids that have issues with their ears and flying. I also recommend Earplanes - Google it! Homeopathic for weepy attitude, sulking (adult or kid!). Indigestion with a coated white tongue and a weepy attitude. Worse symptoms if they are overheated. Great for whiny, tearful children! Homeopathic for when you need to be calm, tranquil or to reduce hysterical behavior. Wonderful children's remedy. For the kid you CAN NOT please, no matter what you do. Homeopathic that's great for headaches. Especially when it comes on in the back of the head and settles under the eyes. Great remedy for summer colds too. Homeopathic for anything that comes on suddenly, illness, trauma or accident resulting in shock. Call 911, then give a dose of aconite. For a cold or flu that comes out of the blue. Homeopathic for profuse bleeding anywhere on the body that will not stop. Works like a charm for hemorrhaging during child birth, bloody noses, cuts etc. Great first aid! Homeopathic for grief or upset due to any event. This can be an accident, trauma, pain from a lost loved one that comes suddenly. Person is sighing a lot. This is a sign they need a dose of ignatia amara. Homeopathic for painless diarrhea that smells terrible. Gas will smell bad too. Summer time diarrhea, this is a great remedy to have on vacation. They feel worse at night and are thirsty. They are exhausted. Classic Homeopathic fever remedy. It comes on suddenly and they are hot and red in the face generally. This remedy can also be given for over exposure to the sun, sun burn or sun stroke. This is a must have if you have kids. Amazing powerful, effective remedy that does not suppress fever, it makes the fever more effective - for a more graceful transition, lowering fever naturally. Must have Homeopathic remedy for those that get poison ivy. Taken preemptively in my experience (before PI exposure) this will have a prophylactic effect. Take at the first sign of poison ivy. No first aid would be complete without this Homeopathic remedy. Take this baby if you suffer any physical accident. For falls, bumps or blows to the head, ANY head trauma, this is the first thing you do and call 911 if necessary. For headaches stemming from a fall or blow to the head. For bruising, surgery, accident and pain from injury. I've relied on this many times to avoid taking traditional anti-biotics. Taken orally for bacterial infections, montezumas revenge, bronchitis, earaches, pink eye. Great to have when in a foreign country. Can be put directly in the eye for pink eye or use a colloidal silver nose spray for sinus infections. Apply topically for pain, a drop on the tongue for upset stomach or indigestion, inhale for dizziness and nausea. I use this almost daily. Peppermint Oil is a must have. Apply 1-2 drops to the affected area. The list is endless: burns, bumps, bruises, fear, anxiety, sadness, sleeplessness, to freshen up your hands instead of hand sanitizer and to use in the shower for a relaxing inhalation. This stuff is a must have also. Apply 1-2 drops to the affected area. The name says it all. Inhale, diffuse or use topically for any sort of anxiety, tension, stress, grief, anger or upset. If you don't like the smell apply 2 drops to your feet. If you DO like the smell apply 2 drops to the back of your neck, your chest or your hands and forearms. Such a lovely aroma, I like to just wear it because it smells good and I get compliments all the time on it. This combination of essential oils goes to work fast, to bring about calm and tranquility in tense situations. I've used it probably a hundred times. For the homeopathic remedies, above - dose yourself frequently at first. Take 1 pellet (this is 1 dose), under the tongue and allow to dissolve. Do this ever 15 minutes for 3 doses, then wait. See how you feel, if there is no improvement, you likely have the wrong remedy. Switch remedies at that time. Google the benefits of "homeopathic ___________" to learn even more uses of each individual remedy. There are hundreds - if not thousands - of ways to use them. 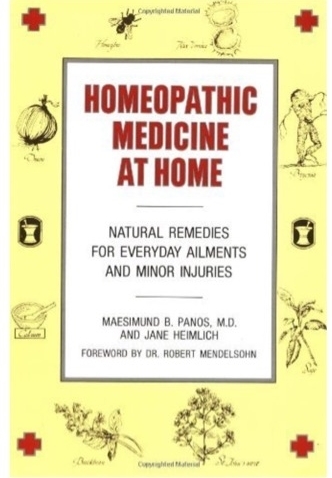 For more on homeopathy at home - look for this book. 'Homeopathic Medicine at Home'. I use this book several times a week and it's a great - and simple - way to begin learning the remedies. I'm sure there are a few remedies I missed - among them are Nux vomica for vomiting or from over indulgence of food, alcohol or drugs of any kind. Also Arsencum album for food poisoning and Bryonia alba - also for headaches - but with extreme grumpiness. The person that needs bryonia wants to be alone. Look them up too!